With every upcoming year, the competition gets tougher in the Indian car market for the carmakers due to the launch of a wide variety of cars, albeit these hatchbacks are the preferred choice of the majority of Indian car buyers owing to the budget constraints and the fuel efficiency requirements. 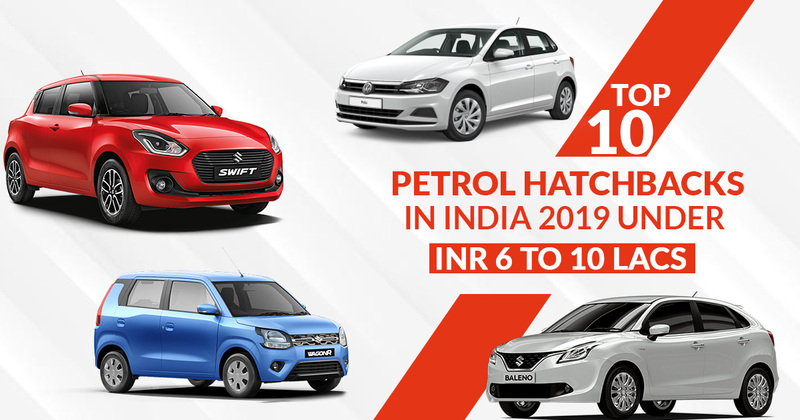 If we compare mechanically, then a host of hatchbacks with different body styles and design are available in India, but if you are looking for the best petrol hatchbacks ranging between INR 6 to 10 lakh, then we have got it all covered for you. The list mentioned below has been designed considering all the essential aspects of a hatchback car like fuel efficiency and their retail prices. So, let’s take a look at the best petrol hatchbacks in India under 6 to 10 Lacs. Maruti Suzuki Swift, a household car name in India appears first in this list as usual. Swift has been launched way back in 2005, but still, it rules the Indian market when it comes to top hatchbacks with high fuel efficiency. It is a well-equipped hatchback, especially when it comes to safety. Recently, Swift has received a major facelift, and it has become even sportier, fun to drive, and a practical enough for a small family to use. 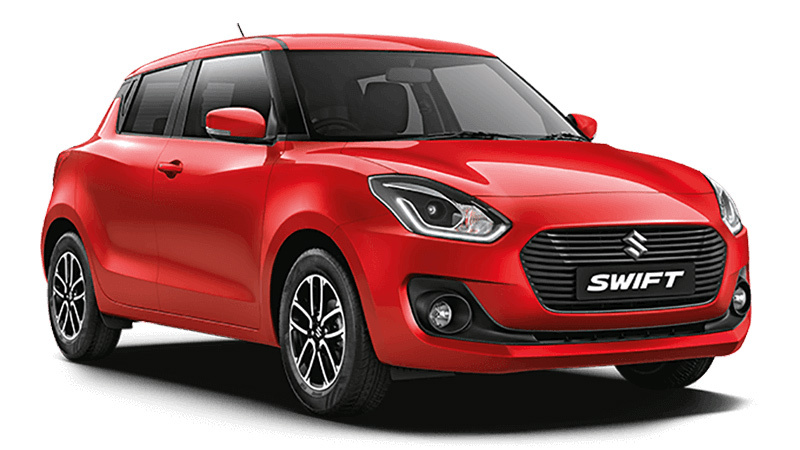 Swift in its latest avatar comes with superior car features like LED headlamps with DRLs, a 7-inch touchscreen infotainment system, rear parking sensors with parking camera, ORVMs, automatic climate control, and push-button start. If we talk about safety and mechanics, then the car comes with driver airbags, ABS with EBD, Anti-theft system and ISOFIX child seat anchors. The 1.2-liter petrol engine generates power of 83 PS along with 113 Nm torque and provides an ARAI-certified mileage of 22 kmpl. 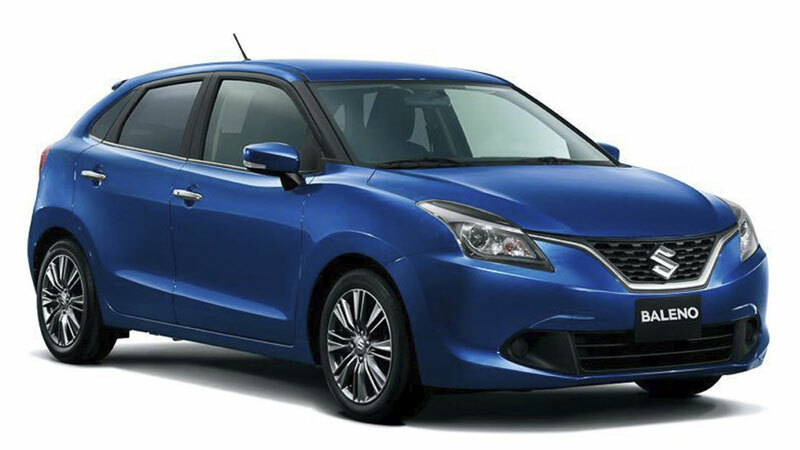 Maruti Suzuki Baleno is one car that has given a healthy as well as tough competition to its younger sibling, Swift, since the time it has launched. Baleno contains all the necessary features to get a premium hatchback tag, and the 2019 Baleno Facelift is no different. In its revamped avatar, Baleno comes with a new 7-inch touchscreen with Apple CarPlay and Android Auto support, LED headlamps, new alloy wheels and rear parking sensors as standard. Inside the car, auto climate control an push-button start/stop has also been added. If we talk about safety, then Baleno is at par with its rivals as it comes to safety specs like ISOFIX child seat anchors, dual front airbags, and ABS with EBD. Shedding light on performance and mileage, Baleno, in its 2019 upgrade has retained the previous-gen 1.2-liter petrol engine that churns out power of 84 PS and 115 Nm torque. The fuel efficiency of petrol variant is claimed around 21.4 kmpl, which is quite good. 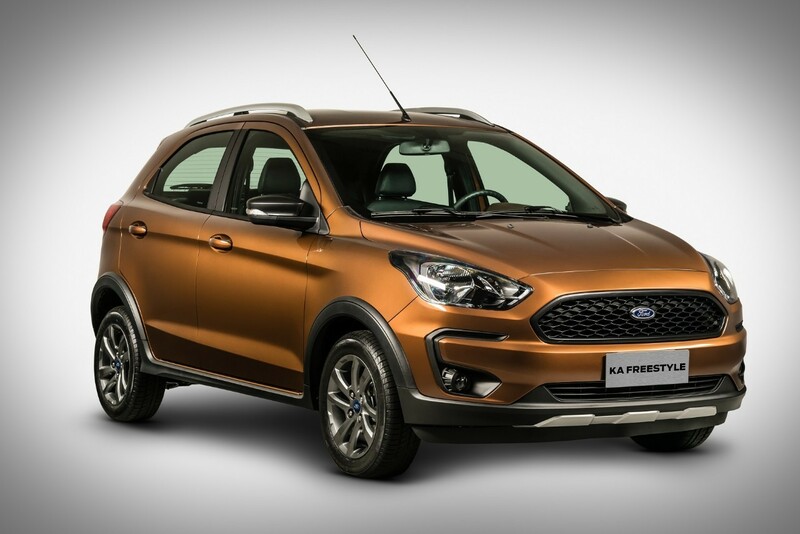 Ford Freestyle is a cross-hatch version of the very popular and aging model Figo from Ford. This cross-hatch from Ford has also entered the top ten hatch list thanks to its impressive faux-SUV looks, impressive ride quality and robust safety features Ford Freestyle also offers an impressive ground clearance along with features like 6.5-inch touchscreen SYNC3 infotainment system, automatic climate control, push-button engine start, auto dimming, IRVM, auto headlamps, and rain sensing wipers. Well, this cross-hatch is also priced very aggressively by Ford, and its 1.2-liter petrol engine variant performance ((96PS/120Nm)) is punch and smooth and comes mated to 5-speed manual transmission. Sadly, the automatic transmission is not present. The petrol variant offers a highway mileage of 19.19 kmpl. Volkswagen keeps the Polo in the preeminent hatchback segment competing with the Hyundai i20, the Maruti Suzuki Baleno and the Honda Jazz and to feat the competition the German manufacturer keeps upgrading the cosmetic features and equipment of the Polo regularly. 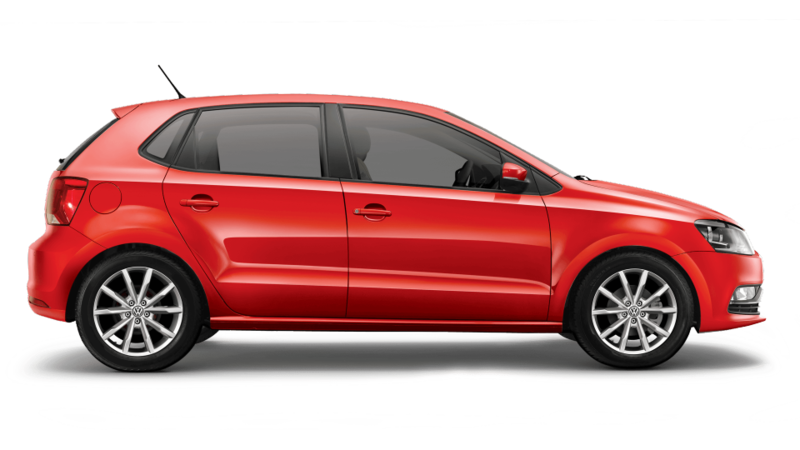 The latest innovation on the Volkswagen Polo includes the signature grille and a chrome accent on the lower slat. The front look endures with the same headlamps with addition of chrome strip crosswise the length of the bumper connecting the fog lamps. The tail lamp has been slightly modified to exhibit a modern look. As always Polo features a premium cabin which has become more comfortable with rain-sensing wipers, push-button start and electrically folding wing mirrors for the top-spec Highline trim, all four power windows, and adjustable steering position. The safety features include dual front airbags and ABS as standard across all variants. The Polo is offered with three engine options and three gearbox options. The price of Polo starts with Trendline 1.0L (P) at Rs. 5.75 Lakhs and extends till the highly priced GT TDI at Rs. 9.7 Lakhs. 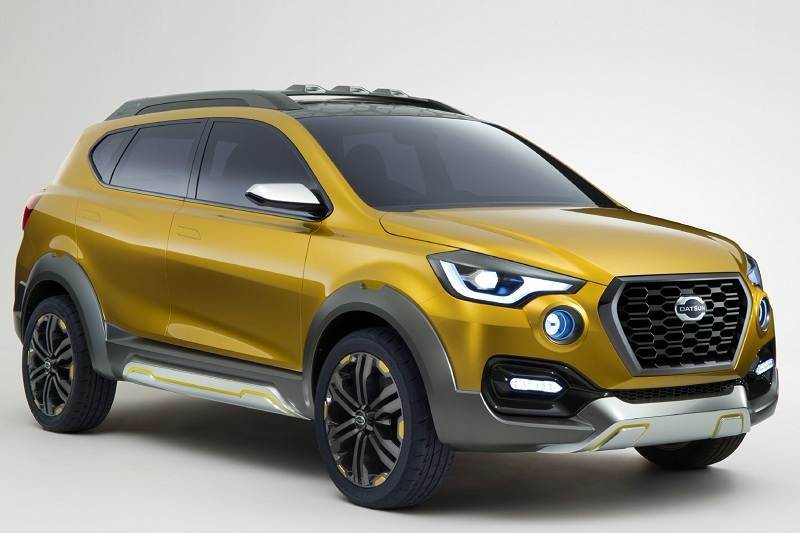 Datsun GO is a budget carmaker subsidiary of Nissan in India. The facelift Datsun Go is the one that has been able to claim a spot in this top ten petrol hatch list thanks to its hefty safety features, internal cabin space, and high fuel efficiency offered at competitive pricing. The dashboard setup in facelift Datsun Go looks quite intuitive, and the 7-inch touchscreen infotainment system is also responsive. The safety kit features of the car include Dual-airbags, ABS, EBD, BA, rear parking sensors and LED headlamps. Talking about performance, the 1.2-liter petrol variant of the car generates a maximum power of 68 PS along with 104 Nm of torque. The powertrain also comes mated to 5-speed MT and lacks AMT option. The car performs rock solid when it comes to fuel efficiency as it claims 19.83 kmpl mileage. The runaway success of Hyundai i10 has forced the Korean carmaker to bring Hyundai Grand i10 to Indian shoes seeing the geographics in the region. 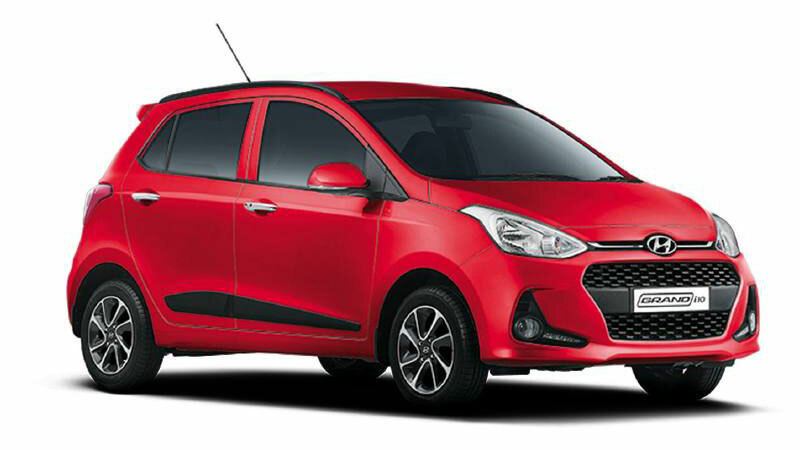 In 2019, Hyundai Grand i10, since its launch in 2013 has been considered as the most attractive package in its segment owing to its smart interiors, segment-first features and aggressive pricing, After 2013, Grand i10 has received a facelift after three years and is again ready for a revised look in 2019. Hyundai i10 facelift feature list includes dual-airbags, ABS, EBD, BA, rear parking sensors, automatic climate control, 7-inch touchscreen infotainment system, ORVMs, and telescopic steering. Discussing performance, Grand i10 comes with both 1.2-liter petrol and diesel engine options where the former gives generate 75 PS power along with 190 Nm of torque. The petrol engine also comes mate to either 4-speed AMT or 5-speed MT. 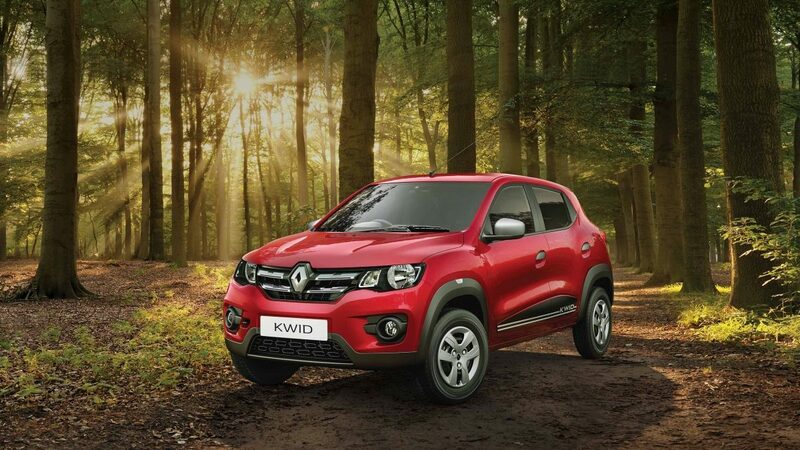 Renault Kwid has been among the most formidable rivals of the top-selling hatchback-Alto 800 from Maruti in India thanks to its more practical features. The car comes with a bulk of two-segment up features like a reversing camera, AMT transmission, and retractable rear seatbelts to make it a perfect ideal small city car and the one, which you can invest in. This highly popular butch-styling youthful hatch from Renault also comes with features like speedometer, manual air con, power steering, a rear seat armrest, a 12V charger for rear passengers, ABS, central locking, child safety locks, and central locking. Well, if we discuss car mechanics and performance, then this hatch comes with two petrol engine options-0.8-litre (54PS/72 Nm) and 1.0-litre (68PS/91Nm). The later powertrain also comes mated to either 5-speed AMT or 5-speed MT. The Korean carmaker has entered the compact hatch segment again with its latest 2018 Hyundai Santro model. 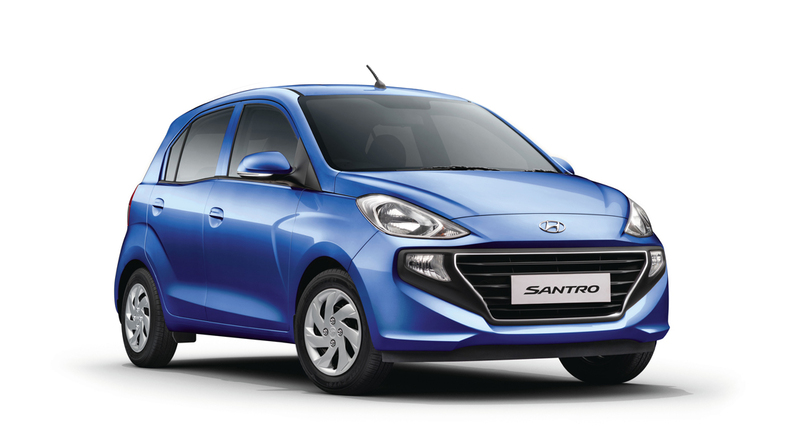 The new Santro model is wider, longer, and certainly more feature-packed in comparison to the older gen model. The new Santro also offers better value than most of its present-day rivals thanks to its superior interior specs. However, the car does disappoint when it comes to safety as it lacks dual airbags and also excludes the ‘at par’ feature lists like adjustable headrest & steering, alloys, and DRLs in lower end variants. Discussing the car performance, it comes with a 1.1-liter petrol engine producing a maximum 69 PS of power and 99 Nm of torque. The petrol powertrain also comes along with either 5-speed MT or 5-speed AMT. Hyundai also offers factory-fitted CNG kit facility on the Magna and Sportz variants, but with MT only. 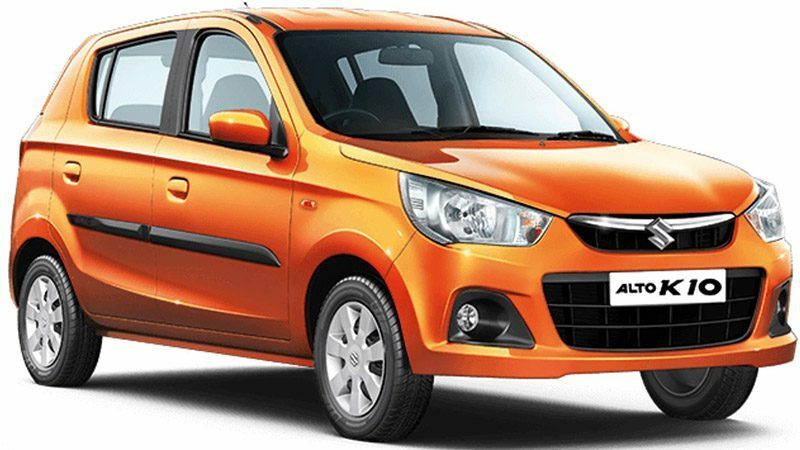 The place where Maruti Alto K10 differs from its sibling Alto 800 is the car mechanics as it comes with a bigger and more powerful engine, which in a way also justifies the term ‘power to the people’ taken literally by Maruti in India for past few decades. Both Alto twins are chartbusters across the top ten hatch lists in India for past few years. Talking more about Alto K10, it offers a clear design, compact size, and of course Maruti’s favorite term high fuel efficiency, which makes it an ideal city runabout car. Alto K10 feature list includes air conditioning, central locking, front power windows, power steering and double-DIN audio system. If we talk about car performance, then Alto K10 comes powered by a 1.0-liter K-series motor, which produces 68 PS power and 90 Nm of peak torque. The powertrain also comes coupled with either 5-speed MT or 5-speed AMT. The thing to note here is that the AMT option is available only with top spec-VXI variant. Right from the launch, Maruti Wagon R has acclaimed the status of India’s most loved family car, and currently, in its third-gen, the situation is no different. Maruti Wagon R still manages to pull off a spot in top 10 hatch list in India every time one appears on the internet. The 2019 facelift Maruti Wagon R for the very first time comes with a 1.2-liter petrol engine, segment-first 341-liter boot space, and the fifth-generation HEARTECT platform from Maruti, which makes it safer than ever before. The other safety specs on the car include driver side airbag, sensor, speed warning alert, seatbelt reminder, rear parking and ABS+EBD as standard. So, after getting a detailed idea about all the best petrol hatchbacks cars in India under INR 6 to 10 Lacs, we hope all your queries are answered. Our sole aim is to provide you with a sorted and properly arranged details, and that’s why the prices, as well as mileage, have been highlighted separately. Vishal Verma is a skilled technical writer which is at par for almost all the writing assignments at the workplace. Also, he desires a challenging task in its daily schedule to sharp up his skills further more.